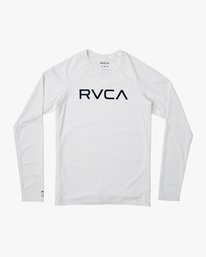 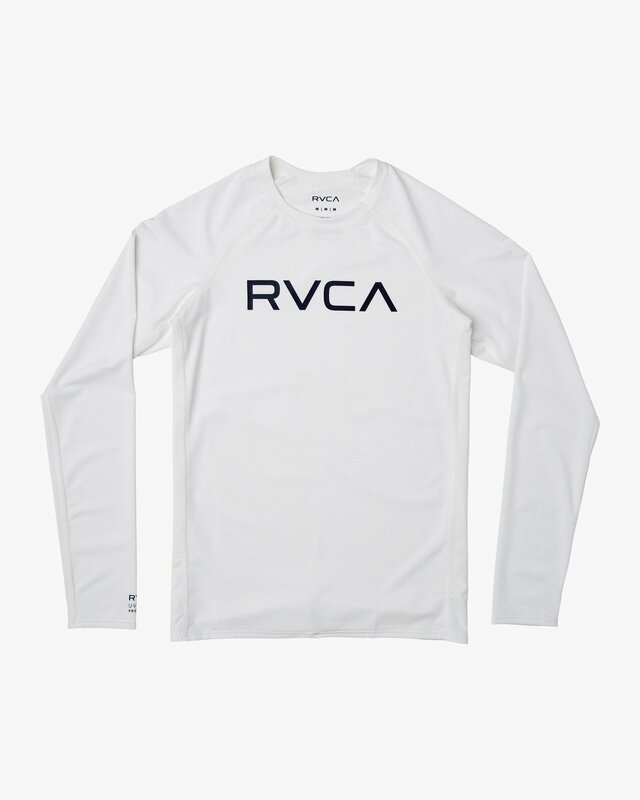 Shred more and sunburn less by layering up in the RVCA Boys Long Sleeve Rashguard. 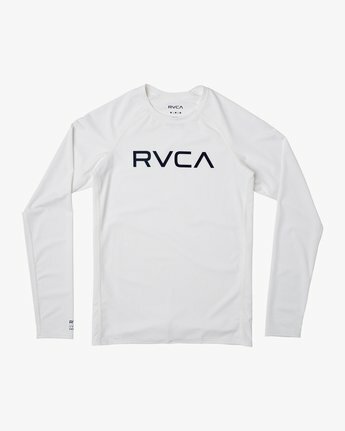 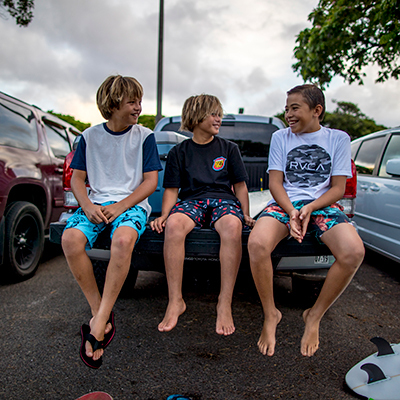 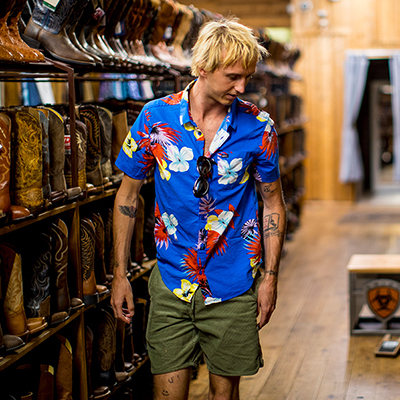 Providing UVA and UVB sun protection, the boys surf top delivers a performance fit with RVCA screen prints. 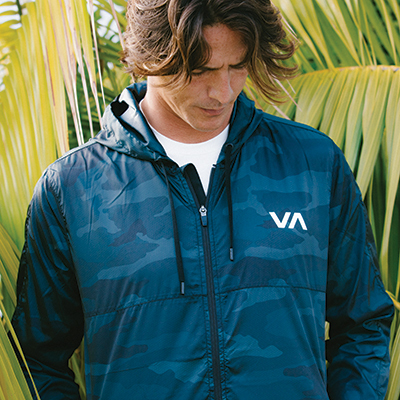 Additional technical details include durable flatlock stitching at the sleeves and neck and key loop at the back.